Though the term “Naval Special Forces” – as exemplified by the United States’ SEALS and Britain’s SBS – is a relatively recent one, the era of the Revolutionary and Napoleonic Wars saw large numbers of inshore operations of a type that would be assigned to Special Forces today. 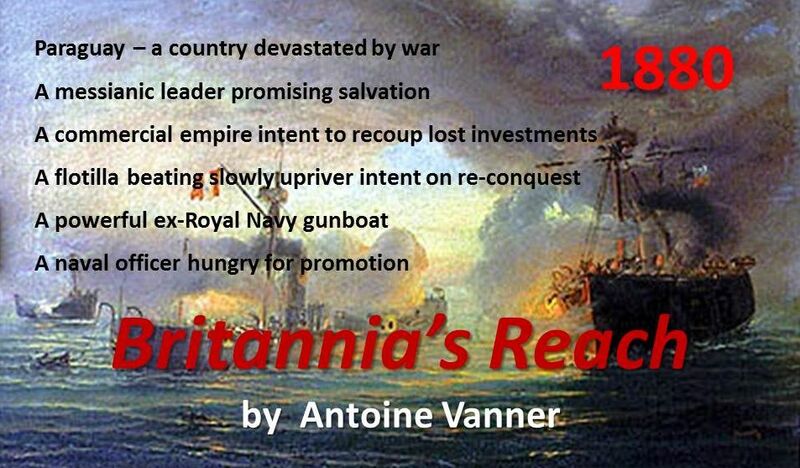 The most common form was “cutting-out”, in which the Royal Navy acquired vast proficiency. Such operations involved boatloads of seaman and marines rowing in close inshore under cover of darkness to capture enemy naval or merchant vessels, more often than not under the guns of coastal fortifications, and to carry them out to sea. Many such exploits necessitated neutralisation of the forts since running a captured wooden ship past them would be tantamount to suicide. Though the risks involved were very high, such attacks were welcomed by the participants, not least because they offered a chance of substantial prize money should they be successful. Viveiro, a small port in North West Spain was to see a classic cutting-out operation in 1808. 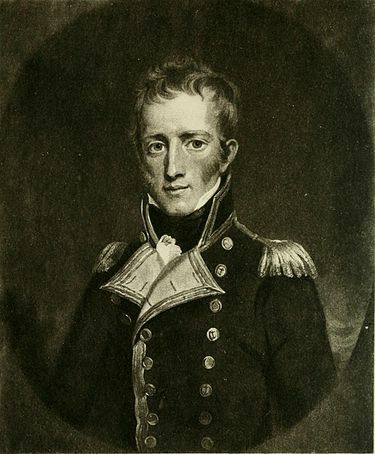 The personnel involved were drawn from the frigate HMS Emerald, commanded by Captain Frederick Maitland (1777 –1839). 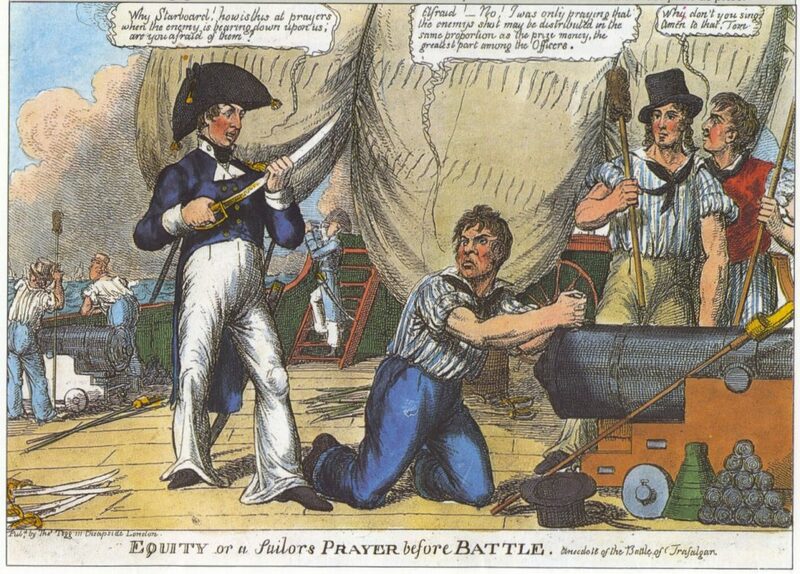 This officer already had a very active career – and more was to follow – but he is best remembered for the fact that it was to him, when captain of HMS Bellerophon in 1815, that the ex-Emperor Napoleon surrendered after his defeat at Waterloo. In March 1808 the Emerald was operating off the northern coast of Spain. 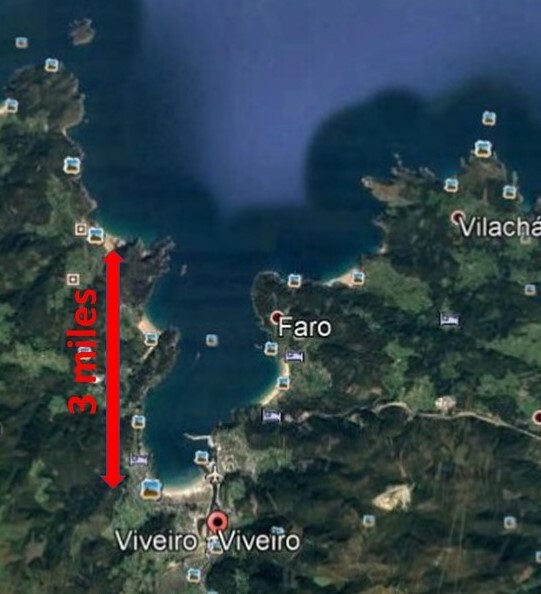 The small port of Vivero, occupied by the French, stood at the southern end of a bay three miles long and a mile across. A French privateer schooner, L’Apropos, powerfully armed for her size with eight carronades, was sheltering there. Any approach to her would be under the guns of two coastal forts armed with 24-pounders, weapons with range enough to dominate the entire bay. Maitland determined nevertheless to capture or destroy the privateer. In later afternoon on March 13th – a time when daylight would soon be fading – a force of seamen and marines were sent ashore to storm the outer fort, which was powerfully armed with eight guns. This landing party was under command of Lieutenant Charles Bertram (1777-1854). This officer – who would later retire as a Rear-Admiral – was the very embodiment of what a dashing young naval lieutenant of his time should be. He had already seen fourteen years of active service which had included several battles, participation in capture of two French frigates, wounding and a short captivity in France before being exchanged. His attack on the fort was successful, its defenders put to flight and its guns spiked – a measure that involved pounding soft nails into the touch-holes, that could be only removed by laborious drilling. The fighting, in darkness, with the advantage of surprise being with the attackers, must have been terrifying. 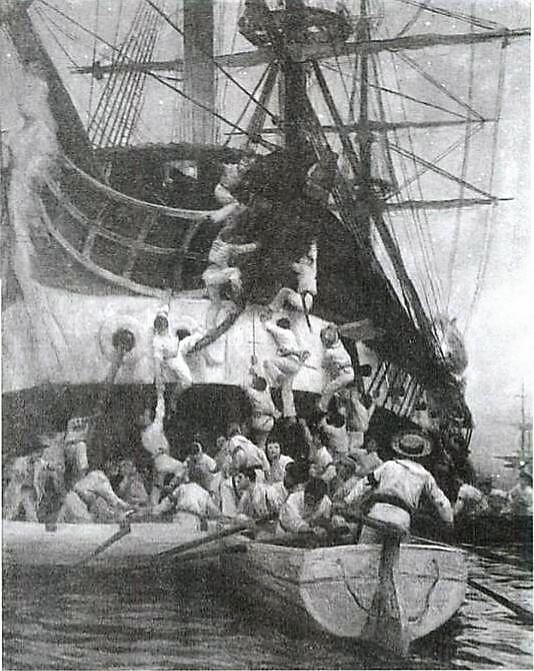 While the storming was in progress – and with the French gunners more concerned with defending themselves against Bertram’s force than bringing the Emerald under fire – Maitland brought his frigate further into the bay, though not apparently into a position to be menaced by the second French battery. The crew of L’Apropos determined however that escape was now impossible. They therefore ran her on to rocks and landed themselves. Bertram’s force was now driving southwards from the captured fort and they ran into the sixty-strong crew from L’Apropos. A short fight followed – it can only have been a very confused one, in darkness and on ground unfamiliar to both sides – and it led to the French retreating. Bertram got his men on board the stranded schooner and made every effort to get her off. This proved futile – she had been grounded at high tide and was stuck fast. The only option was to burn her and to return to the Emerald. The operation had been a costly one, nine of the landing party being killed and several wounded severely, including Bertram himself, for no commensurate gain. There was no prize money. Bertram was highly commended for his leadership and he was to rewarded by promotion to commander ten days later. He would see further active service – and show leadership again in very distressing circumstances – and that will be the subject of a later blog. Any chance the books in the future can come with more illustrations ? The authenticity of the speech leaves me looking up words. I have picked up the first in the series for my Kindle. I am afraid it caused me to lose sleep as I could not put it down. Beautifully written. You get an idea of life in the age of steam. I’m delighted that you’ve enjoyed the first of the Dawlish Chronicles. I hope you’ll enjoy the later books as well, as each of them is linked to actual historic evens and personalities of the period, and often set in locations I know well. (by the way, if you check out Google Earth at 41 Deg 55′ 29″ N and 26 Deg 35′ 12.45″ you can see Suakacgi as it is today, with photographs of the modern bridge that replaces that blown up by Dawlish at the end of the book. You may also find of interest the free Dawlish short stories issued to my mailing list members – details at the end of each blog. One of them “Britannia’s Diamonds”, was particular relevance to “Britannia’s Wolf”. I’m currently about 50% of the way through the first draft of No.7 and I hope that you’ll enjoy that n time also.